mwe3: What inspired you to write and produce The Witness and how did you decide on the album title? When was the music written and recorded and how did you decide on the title The Witness? Paul Bremner: After finishing my first solo album, I continued to write new material and decided I would really like to start another one. 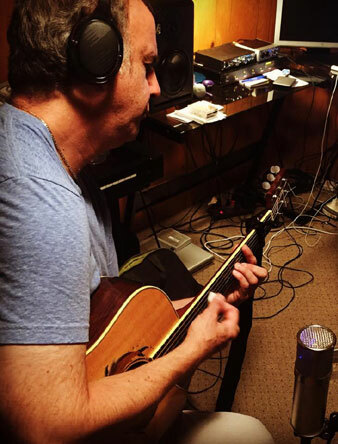 The music was written and recorded over the last several years. I looked through the song titles for a possible album title, and felt that The Witness was the strongest. mwe3: Do you consider The Witness to be an Izz offshoot album especially as the Izz band are all over the album? It sounds like The Witness has got that Izz prog-rock uniqueness. Thats especially apparent after hearing the lead off track From Here I Can See The Horizon. What can you tell us about Anmaries excellent lead vocal and that track overall? 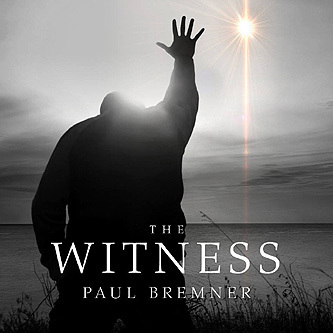 Paul Bremner: Since I wrote all of the music and lyrics, I consider The Witness to be a solo album. I am very happy that all of my bandmates are on the album, definitely giving it an Izz flavor. "From Here I Can See The Horizon" was the first track written for the album. I remember writing the song with Anmarie (Byrnes) in mind, and her vocals on the song are fantastic. mwe3: You have so many great guitar sounds on The Witness. I think track 2 Pilot Fish just grabs your attention right away with your wah-wah guitar sound. What inspired Pilot Fish, both musically and lyrically? Tom from IZZ contributes some excellent vocals on that track and theres a great second half of the song that is very instrumentally focused with a cool lead solo. Do you like tracks with multi-parts to feature different parts within the same song? mwe3: Did you feature different guitars and effects on different songs? What was your go-to guitar on The Witness, both acoustic and electric guitars? Do you have a guitar endorsement and what amps did you record that album with? Speaking of wah-wah, what are your favorite pedals and strings and picks of choice? 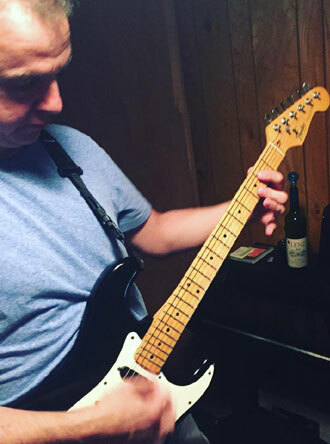 Paul Bremner: My go-to guitar was my beloved Fender Stratocaster that I bought in 1984. The different effects came from my line 6 pedal board. For acoustic guitar, I used John's Takamine. I also borrowed a Mitchell twelve string from a friend. All electric guitar stuff was recorded direct from the pedal board - no amps! I dont have a guitar endorsement. I try different brands of strings and don't have a favorite. I really like Dunlop's Eric Johnson picks. mwe3: Warm is a little different from the heavier tracks as its a kind of love song. Do you like writing love songs compared with the harder and deeper rock tracks? Tell us something about Laura Meades excellent vocals on that track. She really carries that track lyrically. What acoustic guitar are you using on that track? 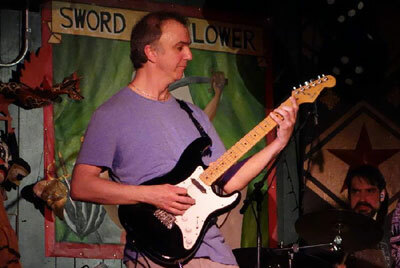 Paul Bremner: I enjoy listening to many different types of music, so I suppose its natural that I try to write music with a wide variety of moods and emotions. Again with "Warm", I very quickly knew who I wanted to sing the song. Laura turns in a gorgeous performance. We have performed the song live a number of times, and it always gets a great reception. I used the Takamine on that song. mwe3: For me the early highlight of the album is the track Vistas and the way it blends into called Are You Ooh Yah?. Are those tracks connected in a way? Vistas is the best song Ive ever heard about reincarnation in a long time. What inspired Vistas and what are your thoughts on reincarnation in general? With all these great artists dying these days, the song is quite inspirational. Short, but inspirational! Would you consider a remix on that track? Also, Johanna Farrand takes the lead vocal on that track. What can you tell us about Johanna and is she an Izz band alumni? Paul Bremner: Those tracks were not intended to be connected at all. "Vistas" wasn't inspired by anything in particular. I'm very glad you like it. I suppose I'm a bit on the fence about reincarnation, but am a strong believer in the afterlife. I don't think I would do a remix on that track, but maybe one or two others on the album. Johanna is not an Izz alumni. She and I used to be in a cover band. She has a lovely voice and I definitely wanted her to be part of this album. mwe3: Are You Ooh Yah? kind of lightens up the mood a bit! Is that Izz at its best? A jam-rock song with exotic alien vocal sounds is a genius move! Theres some great soloing in the second half. Paul Bremner: I'm very fond of this track. The track grew from the alien vocal sound as you call it... it was a sound on an old guitar pedal I used years ago. It was a blast for me to play bass on this song. mwe3: Sad is the saddest song Ive ever heard! Is it autobiographical or were you writing about someone in particular? Again, theres some great guitar soloing within the melodies and choruses. Tom and Laura turn in a great vocal here as well. Is it hard to write such a deep song about sadness? it was very satisfying to do. Paul Bremner: Same story as before Robert, nothing inspired the song. I got a couple of lines of lyrics that I liked and this gave me an idea of where to go with the song. I went with the idea that it's about a man who has premonitions of the future, usually very unpleasant stuff and occasionally he is involved in the events he foresees. I feel that it has a supernatural quality to it. mwe3: Lost In A Memory has a kind of 1970s feel to it and its different from the other tracks in some ways. Did you try to create a different sounding, more upbeat and commercial type of track here? Kind of sounds a bit like The BeeGees in the 90s! But still its an appealing sounding song! Any inside story on that track? mwe3: No Remorse is an instrumental track that has a kind of boogie rock and a Steve Morse kind of feel to it. How do you feel about writing instrumentals or are they not as effective as a solid rock vocal and hook. Did you set out to create a jam with No Remorse? 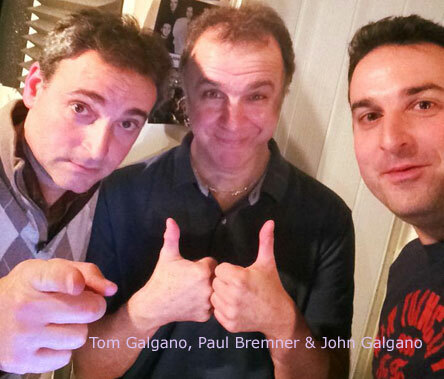 Paul Bremner: I enjoy writing instrumentals, but I tend to mostly write songs with vocals. Having said that, I have a few classical guitar style pieces I would like to record one day and a Celtic piece that I left off The Witness. mwe3: Last Exit Before Toll is a 5 part track thats really harrowing. What brought that one on? Is it about someone in particular or a near-death experience in general? The song really takes you on a journey! Do you consider Last Exit Before Toll to be one song or five different songs in one? Again, the song makes a strong suggestion that Izz are the best American prog-rock band making records these days! in true prog rock style. mwe3: How about plans for the next Izz album and other possible releases and even concerts or new writing and producing?